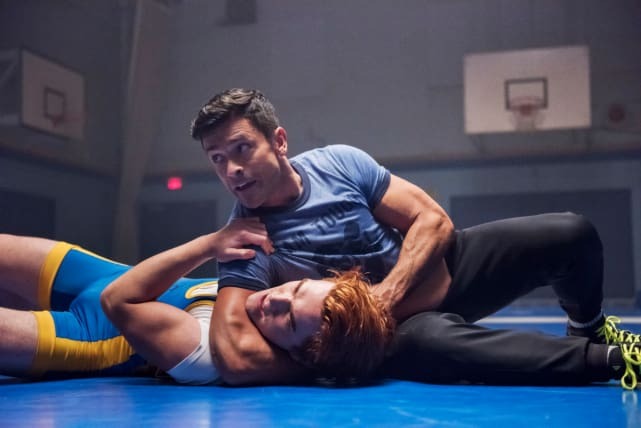 Riverdale Photos from "Chapter Twenty-Four: The Wrestler"
Hiram and Archie are taking their power struggle to battle on Riverdale Season 2 Episode 11. There has always been a slight tension between Mr. Lodge and his daughter's on-again-off-again boyfriend. Veronica is the apple of Hiram's eye and no one will ever be good enough for her. And when you throw in Archie into the situation, who isn't exactly the most consistent in his relationship habits, you have the recipe for trouble. Who will win in this fight? Based on the teaser photos below, Hiram is letting out his frustration with a good round of wrestling. 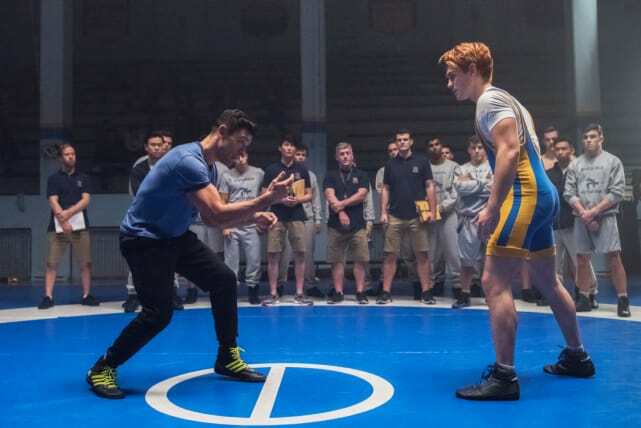 Sure, this is supposed to be the wrestling tryouts at Riverdale High, and the students are hoping to get a spot on the team. However, we wouldn't be surprised if Hiram AND Archie take this match a little too seriously. 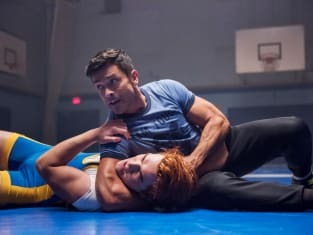 Check out the photos below from "Chapter Twenty-Four: The Wrestler," which airs Wednesday, January 24 on The CW. And don't forget, you can watch Riverdale online via TV Fanatic to get caught up on all the past drama. The Riverdale High wrestling team is the place to be. Archie wants to join the team, but before he can earn a spot, he's going to need to prove his strength. Unfortunately, it looks like his competitor is Hiram Lodge. The wrestling team isn't exactly the sole extra-curricular on Archie's list. He's already a musician and a football player, but he wants to join the Riverdale High wrestling team. 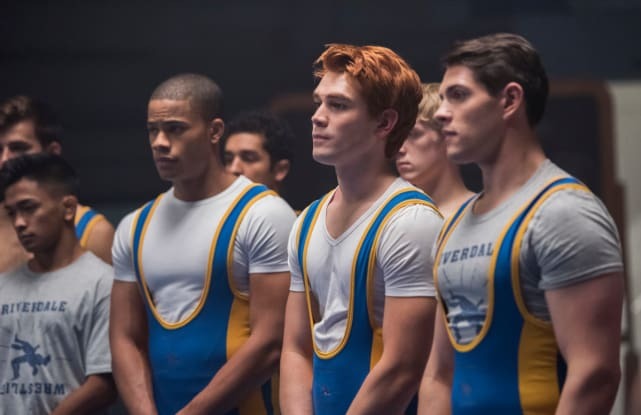 It looks like the Riverdale High wrestling team is bringing out all of the competitors. 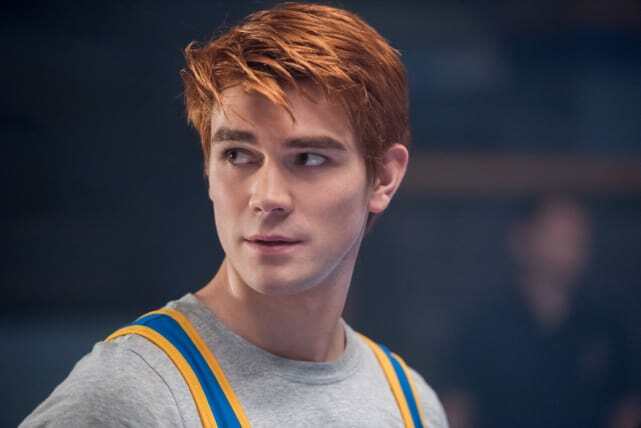 Will Chuck Clayton, Archie Andrews or Kevin Keller get a spot on the team? Kevin has worked hard in a few activities around the school. The wrestling team could be his chance to get a place in one of the sporting activities. Uh oh! Things don't look too good for Archie. He could be saying goodbye to his spot on the wrestling team if he's not able to break free from Hiram. Alice is excited to have her son home. He's almost fitting in nicely...but something seems off about him. Is all not what it seems? 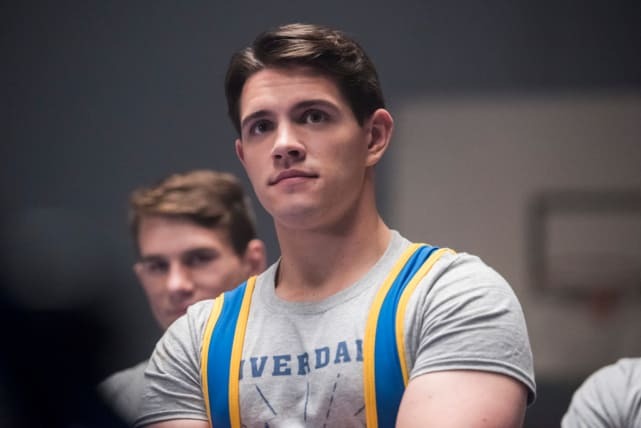 Riverdale Season 2 Episode 11: "Chapter Twenty-Four: The Wrestler"
Hal: Do you know what you’ve let into our house? In the room next to Betty’s? Alice: Can you lower your voice? What on earth are you talking about? Hal: I went on your computer, Chic. I saw what you were doing with your...clients. Betty: Dad, stop! Stop snooping and stop harassing him. Hal: And I don’t want to hear it from you. You bring home this...stranger, and you move him into Polly’s bedroom. Alice: It’s not Polly’s room anymore, Hal. It’s Chic’s. Hal: He has to go, Alice, and you know damn well why. Permalink: I went on your computer, Chic. I saw what you were doing with your...clients. Chic: We’ll start with why I webcam. One of the reasons is to make money. The other reason is...to escape. Betty: To pretend to be someone else. Chic: Yes, but...more than that...it’s a way of getting away from the darkness I feel inside me too. Betty: Can you show me how to do that? Permalink: The other reason is...to escape.